Grillo is a white wine variety which was used almost exclusively for making the alcoholic base for Marsala. It is now used to make crisp dry white wines. 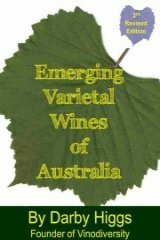 Australia is crying out for a good white wine variety, and we now have another candidate variety in production. 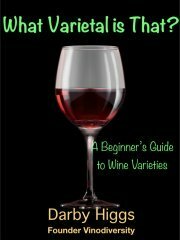 Fortified wines generally are losing popularity worldwide, Marsala is no exception and many of the former producers are now looking at different styles of wine. Now Grillo's potential is being seen as material for crisp dry white wines. White wine production in Australia has long been dominated by French varieties, Semillon, Colombard, Crouchen, and Ugni blanc (aka Trebbiano) supplemented by dual purpose grapes such as Thomsons seedless. Chardonnay and Sauvignon blanc relatively recent arrivals, there were only small amounts grown before the 1980s. The other variety of note was Riesling from France and Germany. Only this century has there been much attention given to bringing in new white wine varieties, and a few of the more interesting ones are from Southern Italy. 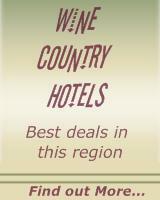 Vermentino and Fiano are two such varieites which are now making excellent wines in Australia. Some others include Greco bianco, Grecanico, Bianco d'Alessano and more recently Grillo..
Grillo is a late ripening variety which is suitable only for warm to hot wine regions. It is currently grown in the Riverland Wine Region of South Australia, and has potential in such areas as the Murray Darling and Riverland regions. The only Australian producer of this wine that I know is By Jingo Wines, based in the Adelaide Hills but using grapes from the Riverina for this variety. The first vintage is 2012. Andrew Cottell of Parish Hills Wines in the Adelaide Hills tells me they are picking Grillo, so that makes two producers. Are there any more?